Skipper. 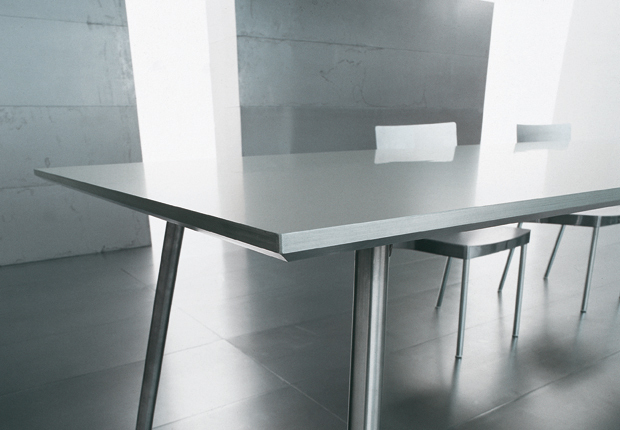 Multi-functional tables, large top in anodized aluminium and light weight-core structure. Top perimeter in aluminium and legs in satin steel.